Something personalized makes a great gift for boys and girls of all ages. There are so many different gifts to choose from – almost anything can be personalized these days. Younger and older children will love to receive a gift with their own name printed on it. A customized gift makes a great keepsake for a memory box, too. If you are choosing a gift for a christening or for a newborn baby, check our other review here (link). The first thing to think about is the type of gift you are looking for. There is a huge choice of personalized gifts to suit boys or girls, ranging from shirts to books to toys. Once you know what you are looking for, you can narrow your search down a little. A personalized gift is great for kids with more unusual names, who may not be able to find their name on the usual store-bought gifts. Think about the age of the child you are buying for. Some children might be too old to have their name printed on their backpack, but may still appreciate a cool sweatshirt with their name on it. You should also think about how you want to customize the gift. There is often a limit on the number of characters which can be included, so think carefully about what you want to say. 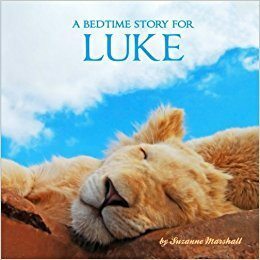 This lovely bedtime book would make a great gift for a younger child or toddler. Children will love to hear their name repeated throughout the book as their parents read it to them at bedtime. Reading together is a great way for parents and children to bond, and it is also excellent for helping your child’s language skills. Sharing a customized book together makes the experience even more special. The rhymes and images in this book are great for settling your child down for a great night’s sleep. It’s sure to become a favorite that they will want to read over and over again. The book would make a great keepsake for your child to look back on when they are grown-up, too. This trendy shirt would make an ideal gift for any cheeky child! It’s available in sizes from 2T right up to Large Youth, so it’s suitable for children of all ages. The sizes run a little small, so it’s wise to choose a size up, especially if you want your child to get a lot of wear on the shirt. There is a short-sleeved shirt or a long-sleeved sweatshirt available, so there’s something to suit all weathers! The material of the shirt is high quality, comfortable cotton – your child will absolutely love wearing their special shirt! The name can be up to 12 characters, so most names or nicknames will be able to fit. This cute little chair would make a nice gift for any young girl. 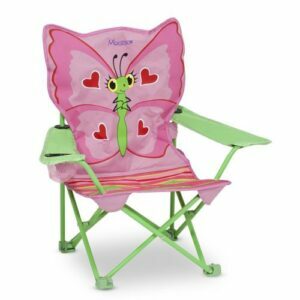 They will have the best seat in the garden with this customized butterfly folding chair! There are 3 font colors available and the name can be up to 12 characters in length. As well as looking great, the customized chair is practical too. The armrests are wide enough to ensure your child can sit comfortably even as they grow. It comes with an integrated cup holder and its own carry bag to keep it safe and clean when not in use. Parents will love how easy the chair is to clean – it can quickly be surface wiped. 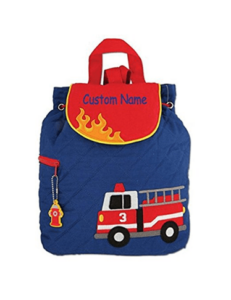 A personalized backpack would make an excellent gift for a child who is just starting school or nursery. They will be sure to stand out from the crowd with their own, original backpack. 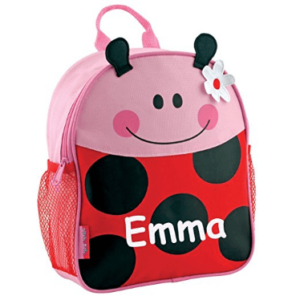 The bag comes in a huge range of styles and colors, so there’s sure to be loads of designs your child will love. The fastenings are easy for young children to use – there are no tricky buckles, just magnets, and a drawstring. The backpack is very well made and has space to hold everything your child needs for a day trip. They will feel so grown up carrying all their own things, and it is comfortable for them to wear so they won’t get sore or tired. 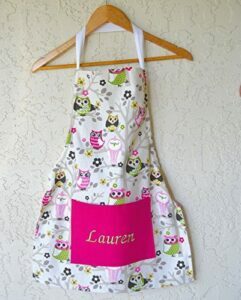 This sweet apron would make a lovely gift for any little girl who loves to help mom and dad in the kitchen. The cute owl print is sure to delight children of all ages, and the apron comes in 3 sizes, to suit children aged from 3 to 10 years old. The apron is 100% cotton and the tie straps are also made of durable cotton so they won’t come undone or wear out. This means the apron can easily be washed over and over again after making a mess in the kitchen! The message embroidered on the pocket can be between 1 and 9 characters long, so it’s not ideal for those with longer names. However, you can choose to use initials or a nickname instead. 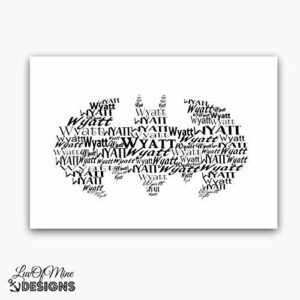 This cool poster would make a lovely gift for any young Batman enthusiast. 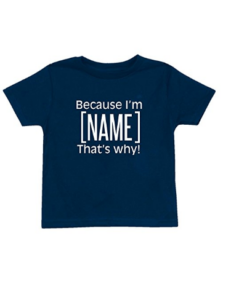 There are lots of customization options to tailor the print to suit your child. The color of the text can be changed, with 10 different options to choose from. There are also different size options, and the print can be framed if you want to give a really special gift. You can choose any name or word you wish – there is no character limit. A variety of fonts are used in the print to make sure it is eye-catching and attractive. The customized wall décor would look great in any child’s bedroom, and you can choose the color to match the colors of their room to make it look even better. These one-of-a-kind puzzles are the ideal gift for any young child. 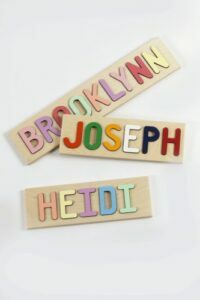 They are perfect for teaching your child how to spell their own name, in a fun and interesting manner. The wooden puzzle will also help your child develop their hand-eye coordination. Once your child no longer plays with their puzzle, it would make a great wall decoration or a door plaque for your child’s bedroom. The puzzle can be made in primary or pastel colors and can feature up to 12 characters making it suitable for the majority of children’s names. The paint used on the letters is high quality and won’t flake even after being played with over and over again, making it an excellent keepsake gift. This cute, small backpack is the perfect customized gift for pre-schoolers and toddlers. It is just the right size to use on an overnight trip or a day at daycare, measuring around 10 by 11 inches. The backpack would make a perfect gift for any young girl who loves all things pink and girlie! There are other designs available to suit different tastes, however. The materials used are high quality and the backpack features an easy to use zipper fastening. There are also mesh pockets on either side, perfect to keep a drink and snack close to hand. 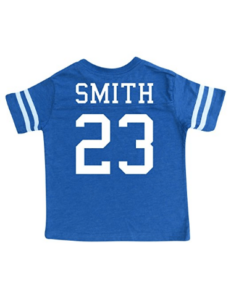 This personalized football shirt would make a great gift for a boy or girl of any age. It comes in sizes from age 2 right up to 12, and there are a variety of color choices. The shirt is made from 100% cotton for maximum comfort and easy washing, and the name is printed on the back in vinyl. The name printed on the shirt can be up to 20 characters long, and you can choose any number with up to 2 digits. This means there is a lot of flexibility to allow you to really tailor the shirt to suit your child. Children of all ages will love wearing their customized shirt at any opportunity they get! The customized backpack is our favorite gift for children. It is great because there are so many different styles for boys and girls, so there is something to suit all tastes. The backpack itself is great-quality and easy for young kids to open, close and carry. The materials are durable enough to withstand daily use at daycare or school. But, most importantly, your child will love carrying their own things in their very own custom backpack! If you are looking for a personal gift on a smaller budget, the custom football jersey is ideal. The high-quality shirt is sure to be a hit with boys and girls of all ages. Parents will love the easy-to-wash materials, too. Also, there are a range of customization options with the shirt, ranging from the color of the fabric to the name and number, meaning you can really make a one-of-a-kind shirt for your children.